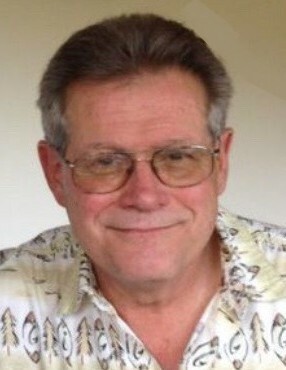 Christopher Eugene Malotka, age 67, of Winona, passed away on Friday, March 22, 2019, in the comfort of his home. He was born on June 25, 1951, at the Travis Air Force Base Hospital in Vallejo, California, to Eugene and Phyllis (Grochowski) Malotka. He was a graduate of Cotter High School, and married Patricia Olson on June 27, 1987. Chris was a journeyman pressman, and worked for several years at Winona Printing, and later with Insty Prints in Winona, until his retirement. Chris enjoyed trout fishing, goose and pheasant hunting, and the Minnesota Vikings. His greatest passion was fishing and pheasant hunting with his son, Scott. Very much a proud father, he was Scott’s biggest baseball and hockey fan. Chris is survived by his wife, Patricia; son, Scott Malotka; sister: Judith (Bob Haskett) Malotka; many in-laws, nieces, nephews, other relatives and friends. He was preceded in death by his parents; mother-in-law and father-in-law: Catherine and George Olson; and a brother-in-law: Paul Olson. Visitation will be held from 5 PM until 7 PM on Friday, March 29, 2019, at the Watkowski-Mulyck Funeral Home. Visitation will also be held from 10 AM until the Mass of Christian Burial at 10:30 AM on Saturday, March 30, 2019, at the Basilica of St. Stanislaus Kostka. The Very Reverend Patrick Arens will officiate. Pallbearers will be: Ron Benson, Mike Conway, Greg Olson, Steve Olson, Tim Olson, Jim May, and Jim Rickoff. Online condolences or memories may be left for Chris’ family at www.watkowski-mulyck.com.